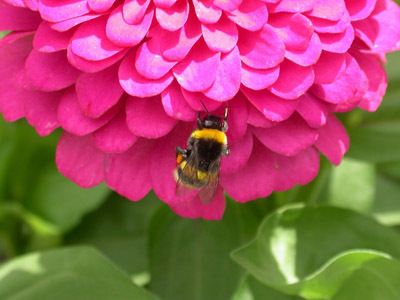 Humming Bee Breath is also known as Brahmari — the Sanskrit word for bee. Akin to chanting Aum, the vibrations created here calm the mind, body, and spirit. When we tap into sound, we tap into the present. Bee here now. This beautiful buzzing breath practice will pollinate your mind and quell all swarms of anxiety. Calms like no other. You’ll see. Brings you to the honey-sweetness of the moment. Melts tension, letting it drip-drop away until there’s none left. Teaches and furthers smoothness and evenness of breath. Increases circulation, tones the vocal cords, and quiets the mind. Begin in Sukhasana or an even, comfortable-for-you seated pose. Hum the letter M — “Mmmmmmmmm” — in an even tone as you exhale. Hum until the very bottom of your exhalation, but do not strain. With your last humming exhalation, take a few normalizing breaths and close. The longer your humming exhalation, the more it soothes, but make sure to stay in a comfortable zone. See yourself as a golden, peaceful, content bee blessed with a life of sweet petals and honey. 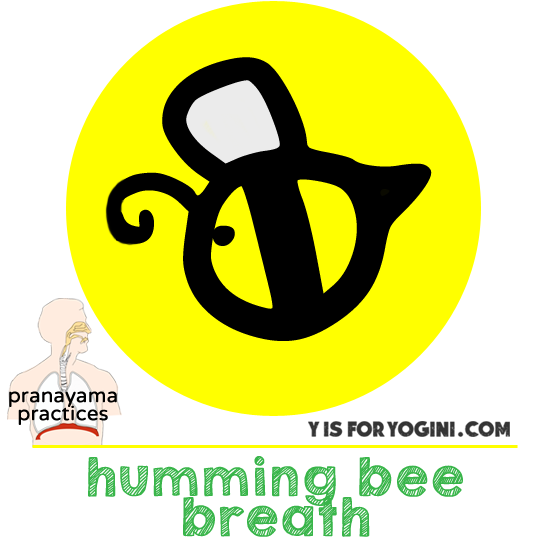 Humming Bee Breath Meditation as written above © Y is for Yogini. Feeling fly yet? Purify your inner hive with Humming Bee Breath. As always, perfect timing. I had such an anxiety filled weekend. I need this. Thank you. And I am always feeling fly, lady! my teacher does it at the end of every class while we are in a seated forward fold. its a delicious way to get out the frustrations of the day in a soothing way. love it! I just did this on my scooter on the way back to the office after lunch, I was one with the buzz of the motor. LOVE!!!! big hugs & namaste doll!! I <3 this one, we do it a lot where I take classes and it's wonderful for calming poor old frazzled nerves and minds. Hooray!! 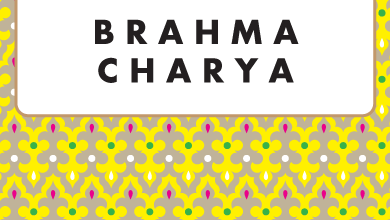 Love me some Brahmari Breathing. I teach this to my students quite often and I do it almost every morning to calm me down before I meditate! Will be happily humming along with you for the next 40 days! Forgot to mention. Try this breathing with your thumbs closing off your ears and with your hands cupped over your eyes. This adds a whole new dimension of yumminess! I am loving this! Last night I had my husband and son humming while I gave them reflexology treatments. They were blissed out! I stumbled upon this this morning and it was not an accident. Exactly what I need!